Longer boats may cost a little more. Smaller boat sizes are fine as well. year, make, model, length of your boat and a side shot picture. Material is 3M IJ180 cv3 cast boat wrap vinyl film with 3M 8518 cast overlaminate for maximum UV protection. Boat Wrap, Boat Graphics kit! FREE COLOR CHANGES & PROOFS! Fits all brands. Proofs based on your changes and notes or ph call. the added cost and we will get you a price based on your size of boat. This wrap is sold as a left & right. Digital Printed at highest quality and UV laminated. DO cost a little more . Smaller boat sizes are fine as well. year, make, model, length of your boat and a side shot picture. Material is 3M IJ180 cv3 cast boat wrap vinyl film with 3M 8518 cast overlaminate for maximum UV protection. DO cost a more . Smaller boat sizes are fine as well. year, make, model, length of your boat and a side shot picture. Material is 3M IJ180 cv3 cast boat wrap vinyl film with 3M 8518 cast overlaminate for maximum UV protection. Strong self adhesive Re-positionable vinyl. Cleaning the surface with rubbing alcohol prior to installing the vinyl will help with adhesion and clean any contaminants that may cause imperfections. After installtion, do not put it under stronge sun in 24 hours and do not wash your car in 48 hours. MARLIN HUNTERS FISH DESIGN. DO cost a little more . Smaller boat sizes are fine as well. Material is 3M IJ180 cv3 cast boat wrap vinyl film with 3M 8518 cast overlaminate for maximum UV protection. DO cost a little more . Smaller boat sizes are fine as well. Material is 3M IJ180 cv3 cast boat wrap vinyl film with 3M 8518 cast overlaminate for maximum UV protection. (boat not included, ha!). Submit an image of the boat. Specify the color or design you prefer, such as “Green” or "Diver & Octopus". DO cost a little more . Smaller boat sizes are fine as well. year, make, model, length of your boat and a side shot picture. Intended for an 18 foot boat. The print size should always be larger than the actual boat for trimming purposes. Designed to fit most boat models from the rubrail down to the waterline. Material is 3M™ IJ180 CV3 cast boat wrap vinyl film with. Strong self adhesive Re-positionable vinyl. Otherwise deal is final. Long lasting for around 4-5 years. DO cost a little more . Smaller boat sizes are fine as well. Material is 3M IJ180 cv3 cast boat wrap vinyl film with 3M 8518 cast overlaminate for maximum UV protection. Submit an image of the boat. Marlin, Mahi Mahi, Tuna Fish and the Kraken/Octopus -. The Kraken's Revenge 2 Alternate Background! Custom Boat Wrap - Customized to Fit Your Boat. DO cost a more . Smaller boat sizes are fine as well. 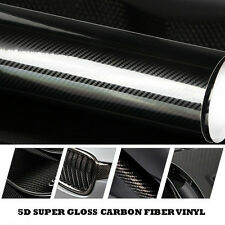 Material Type:5d carbon fiber vinyl. Type Of Sticker:Car Body. Type:Glue Sticker. Strong self adhesive Re-positionable vinyl. Cleaning the surface with rubbing alcohol prior to installing the vinyl will help with adhesion and clean any contaminants that may cause imperfections. Example is shown on a 20.5 foot boat. we will create a mockup for you,to scale, so you can see what it will look like on your boat. If needed, we will adjust the size to fit your boat. Larger boats may cost a little more. DO cost a little more . Smaller boat sizes are fine as well. boat to show the most available image area to achieve the best visual display. year, make, model, length of your boat and a side shot picture. Boat to show the most available image area to achieve the best visual display. year, make, model, length of your boat and a side shot picture. Material is 3M IJ180 cv3 cast boat wrap vinyl film with 3M 8518 cast overlaminate for maximum UV protection. URBAN CAMO ARROW WRAP DESIGN. Choose your Camouflage. DO cost a little more . Smaller boat sizes are fine as well. Material is 3M IJ180 cv3 cast boat wrap vinyl film with 3M 8518 cast overlaminate for maximum UV protection. Specify the color or design you prefer, such as “Green” or "Diver & Octopus". DO cost a more . Smaller boat sizes are fine as well. year, make, model, length of your boat and a side shot picture. Material is 3M IJ180 cv3 cast boat wrap vinyl film with 3M 8518 cast overlaminate for maximum UV protection. Longer boats may cost a little more. Smaller boat sizes are fine as well. boat to show the most available image area to achieve the best visual display. year, make, model, length of your boat and a side shot picture. Genesis Tribal Grunge Checkered Racing Flag Boat Wrap. DO cost a little more . Smaller boat sizes are fine as well. year, make, model, length of your boat and a side shot picture. Material is 3M IJ180 cv3 cast boat wrap vinyl film with 3M 8518 cast overlaminate for maximum UV protection. "Twist" Boat Wrap. DO cost a little more . Smaller boat sizes are fine as well. year, make, model, length of your boat and a side shot picture. Material is 3M IJ180 cv3 cast boat wrap vinyl film with 3M 8518 cast overlaminate for maximum UV protection. Intended for an 19 foot boat. The print size should always be larger than the actual boat for trimming purposes. Designed to fit most boat models from the rubrail down to the waterline. Material is 3M™ IJ180 CV3 cast boat wrap vinyl film with. Intended for an 24 foot boat. The print size should always be larger than the actual boat for trimming purposes. Designed to fit most boat models from the rubrail down to the waterline. Material is 3M™ IJ180 CV3 cast boat wrap vinyl film with. DO cost a more . Smaller boat sizes are fine as well. Material is 3M IJ180 cv3 cast boat wrap vinyl film with 3M 8518 cast overlaminate for maximum UV protection. (boat not included, ha!). Submit an image of the boat.